The area of Vatican City, across the Tiber River from the historical centre side of Rome, is characterized by numerous hotels and B&Bs which welcome hundreds of thousands of visitors throughout the year. The Vatican is well served by public transport: many areas around Vatican City, as Piazza Risorgimento, Porta Cavalleggeri and Porta Castello are the terminus of several bus lines. 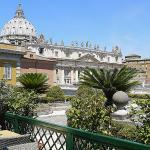 Between Vatican City and the Tiber there is the Prati district, a residential area which can be toured by bicycle, thanks to the bike paths that connect Piazzale Ponte Milvio to Piazza Cavour, towards the Vatican or the Tiber. In Vatican City, in addition to beautiful masterpieces such as the Sistine Chapel, St. Peter's Basilica, the square with the colonnade of Bernini, Michelangelo's Pieta, you can also enjoy the Vatican Museums, visited by more than 4.5 million people every year. The Vatican Museums are on Viale Vaticano, behind the Basilica of St. Peter, and can be reached from Termini station by metro line A Ottaviano- Musei Vaticani, by the bus line n. 49 and the tram line n. 19. 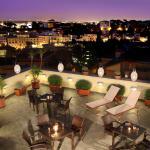 In Vatican City, just opposite St. Peter Basilica, there is the Residenza Paolo VI. The hotel offers an exciting view of the Dome of the Basilica. 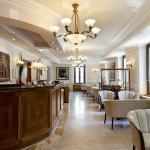 The historical centre of Rome is within walking distance.